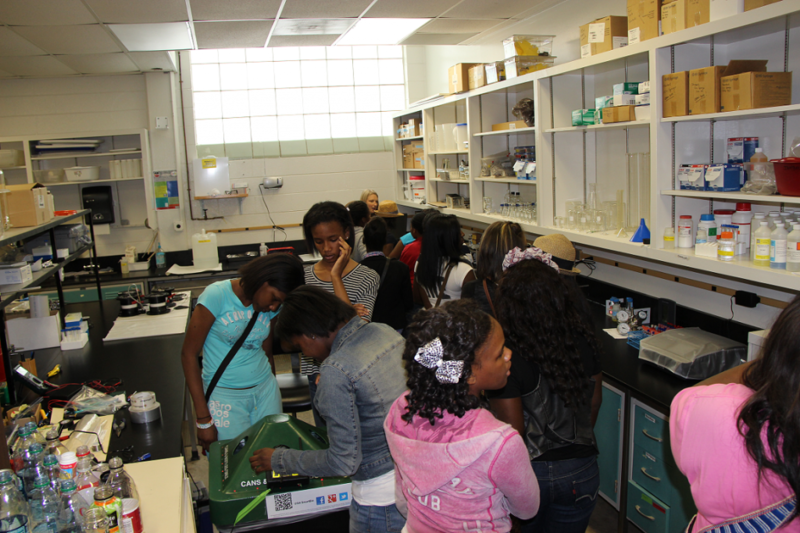 On Friday, June 1, we hosted about 45 students (grades 9-11) from Coretta Scott King Academy. 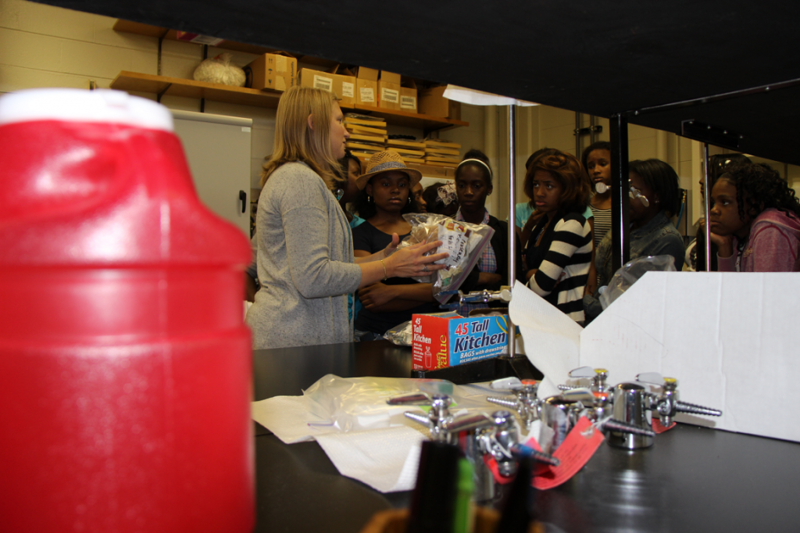 The students toured several engineering laboratories, including ours. They heard all about environmental engineering and urban systems. They got see microbial fuel cells and examine marine debris samples up close. They also go to try out the UGA SmartRecycle Bin and they loved the eco-feedback. Finally they observed the real-time tracking of marine debris with the Marine Debris Tracker app. Many want to follow us on Twitter as well! It was a pleasure for us to talk about our research and hopefully inspire some of the students to ponder environmental engineering as a career. Thanks to Hillary Tanner for organizing this and for our undergraduate, Jenna Grygier, for participating as well! This entry was posted in Service and tagged Coretta Scott King Academy, eco-feedback, environmental engineering, Marine Debris Tracker, UGA Smartrecycle bin. Bookmark the permalink.